Tapio Wirkkala - Eye, Hand and Thought valottaa omaleimaisimpiin ja menestyneimpiin suomalaismuotoilijoihin kuuluvan Tapio Wirkkalan (1915-1985) uraa ja elämää. Wirkkalalla oli poikkeuksellinen muodon ja materian taju, ja lasin lisäksi hän työskenteli sulavasti niin puun, metallin kuin keramiikankin parissa. Kirja esittelee Wirkkalan koko tuotannon satojen väri- ja mustavalkokuvien siivittämänä, ja tarkkanäköiset artikkelit kertovat tarinoita esineiden takaa. Vuonna 2000 ilmestyneen kirjan on toimittanut Marianne Aav ja julkaisseet Helsingin Designmuseo ja WSOY. Kirjan kieli on englanti. 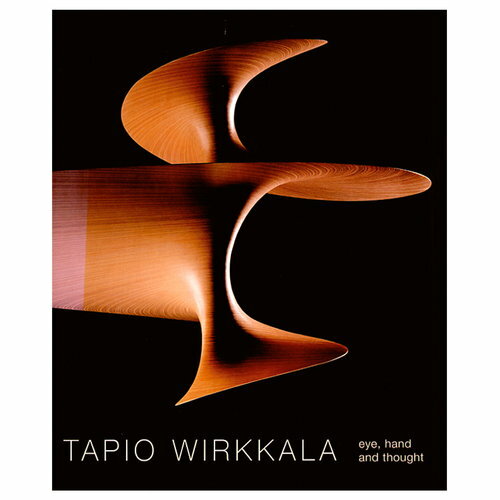 Tapio Wirkkala is the symbolic figure of Finnish design. He was an artist of exceptional diversity for whom no material was alien and who left no area of design unexplored. His works ranged in size from postage stamps to future cities, from salmon-flies to earthwork monuments. "All materials have their own unwritten laws... You should never be violent with the material you’re working on, and the designer should aim at being in harmony with his material." The idioms in Wirkkala's objects are normally derived from nature, sometimes from the shape of a leaf, ridge, whirlpool or seashell, sometimes the shape of a bird. Most often the natural essence is so deeply buried that its origin can no longer be recognised or explained in words, almost as though he had cast a poetic spell over his works. Tapio Wirkkala combined craftsmanship with industrial mass production, artistic form with anonymous series, rustic simplicity with cosmopolitan elegance, emotion with perception, playful experimentation with responsibility. His objects exhibit both a sculptural concept of form and a studied scientific utility, simultaneously unique and bound to tradition. Although Wirkkala's artworks and objects are to be found in the world's leading museums, Finns have used his anonymous utility objects for decades. As his name is normally associated with luxurious decorative objects, few know that he also designed the everyday banknotes, ketchup, beer and vodka bottles. 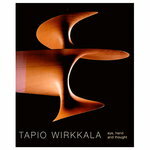 Tapio Wirkkala also worked abroad, in particular in Italy, Germany and Mexico. His modesty, industry and professional skill overcome all language and other barriers, whether working with traditional Murano glassblowers or Mexican silversmiths.